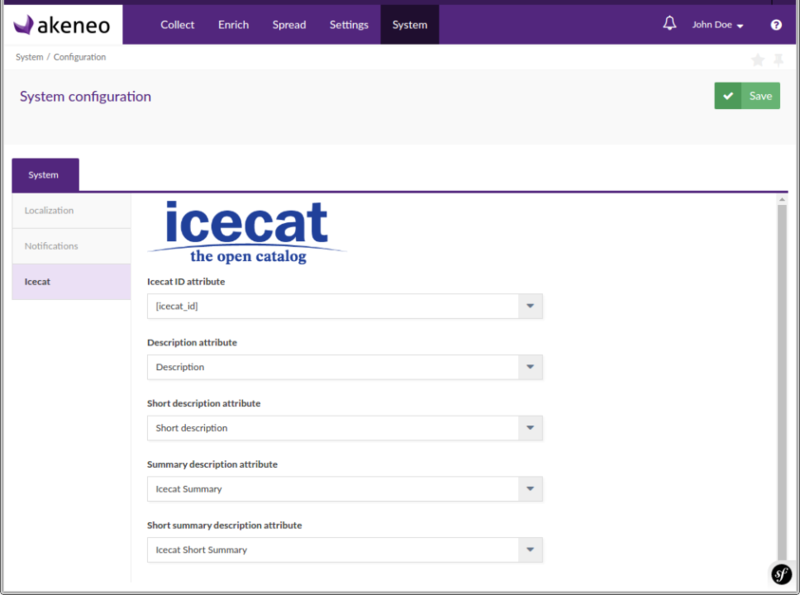 This extension allows to enrich an already existing catalog with Icecat catalog data. It does not import any structural content like categories or families. In order to be able to enrich product data, the existing products must know the corresponding Icecat ID linked to the product. Existing Akeneo PIM attributes must be mapped to Icecat features with a CSV file containing two main columns: the Akeneo attribute code and the corresponding Icecat feature ID. An import profile is provided by the extension to help in this mapping step. Once this mapping is done, the products data will be fetched with a cron task using Icecat XML web API. This extension does not rely on Icecat taxonomy, and so there is no requirement or limitation on the Akeneo catalog structure. On the other hand, it is not possible to initialize an empty Akeneo PIM with this extension. Description, Short Description, Summary Description, Short Summary Description: these are common data in the Icecat XML payload and they can be mapped to any Akeneo PIM text attribute. icecat_download_features: a profile to download all Icecat features and prepare the attributes mapping CSV file. icecat_import_features_mapping: to upload the final attributes mapping CSV file. icecat_enrich_products: this profile is used by a CRON task to enrich product content. This extension is free and public. It is compatible with Community and Enterprise Editions.